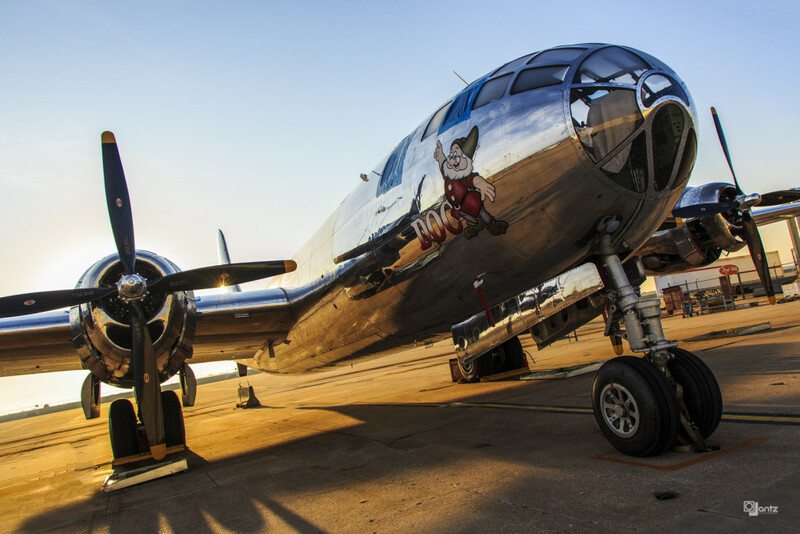 Doc’s Friends Restoration Team, the group leading the return of the B-29 known as ‘Doc’, to flyable status, received the annual Wichita Aero Club Trophy on Saturday, January 23, 2016. Fifty-eight of the Doc volunteers were in attendance and were recognized aduring the annual Wichita Aero Club Gala in January, where the trophy was presented. Mr. Mazzolini, Doc Restoration Program Manager Jim Murphy, and Connie Palacio, an authentic “Rosie the Riveter” who worked on the airplane when it was originally built in Wichita in the 1940’s spoke. In order to reach the first flight milestone, Doc’s Friends held a Kickstarter fundraising campaign to cover the costs of engine, taxi, and flight-testing. The Kickstarter campaign ran through the end of October. More information about the Kickstarter campaign can be found here.